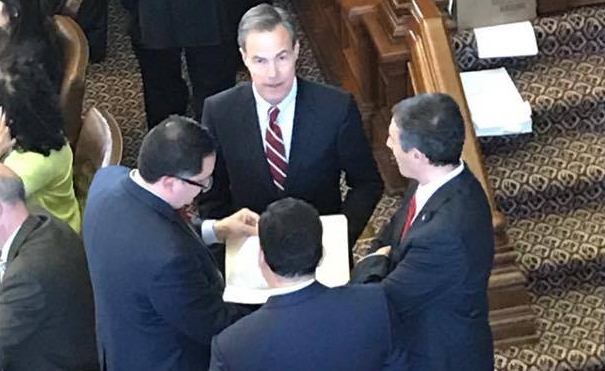 As Straus pursues this loathsome little "economic competitiveness" stunt, it's worth reflecting on an issue from the special session that didn't get a lot of press at the time: PERMITTING REFORM. Low housing costs are routinely cited as a major reason why both businesses and individuals move to Texas. Unfortunately, as the number of people moving here this past decade has driven up demand, supply has failed to keep pace. The natural result is higher prices. There are a number of reasons why this is happening. 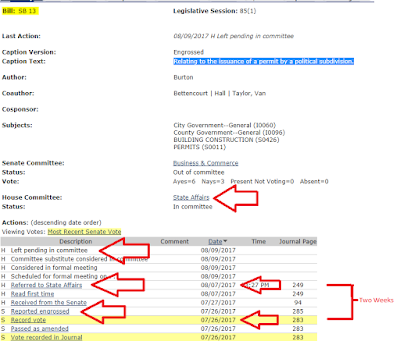 But one of the biggest is that the permitting process is a bottleneck that adds costs and delays construction projects. Obviously, Austin is the worst offender, but they're not alone. This summer, Governor Abbott partnered with Konni Burton on SB 13: "Relating to the issuance of a permit by a political subdivision." 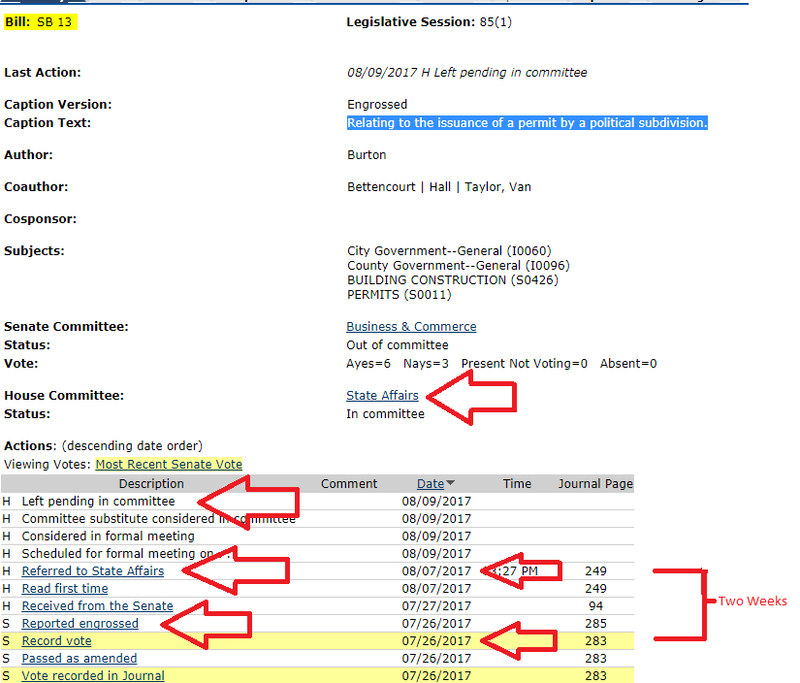 The bill would have eliminated bureaucratic slow walking by making the permitting issuance mandatory after a certain period. It also would have eliminated a number of the excuses political subdivisions use when denying permits. Bottom Line: If you aren't serious about abusive municipal permitting, you aren't serious about housing costs. If you aren't serious about housing costs, you aren't serious about "economic competitiveness." Case closed Joe.